From now on, you can get a free Audio-Technica AT8024 Stereo/Mono Camera-Mount Microphone with Panasonic DMC-G7 mirrorless camera at Adorama. This microphone is regularly for $249.00. This entry was posted in Panasonic Camera and tagged Panasonic camera rumors, Panasonic G7 on July 12, 2015 by admin. This entry was posted in Panasonic Camera and tagged Panasonic camera rumors, Panasonic FZ300, Panasonic G7 on June 20, 2015 by admin. Panasonic DMC-G7 mirrorless camera is finally in stock and shipping in most US stores. The price of G7 with the 14-42mm kit lens is for $797.99, with 14-140 mm Lens Kit for $1,097.99. 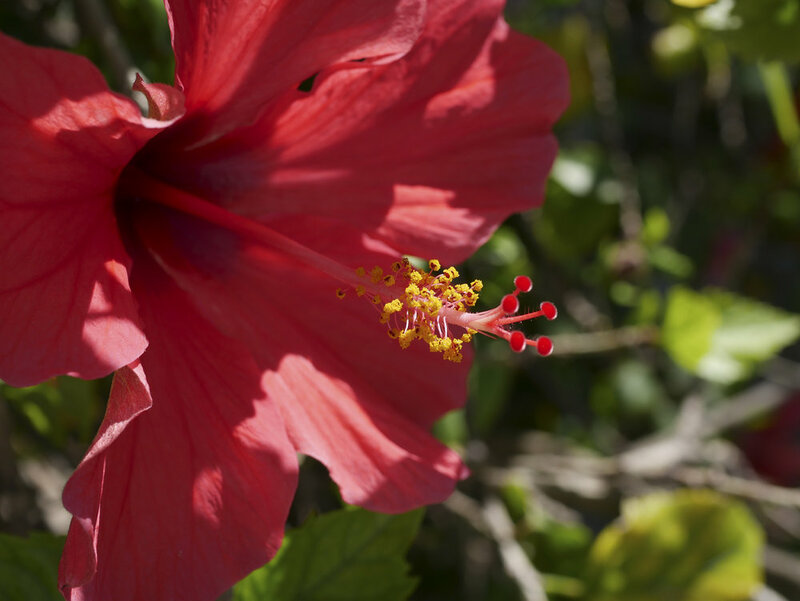 This entry was posted in Panasonic Camera and tagged Panasonic camera rumors, Panasonic G7 on June 20, 2015 by admin. This entry was posted in Panasonic Camera and tagged Panasonic camera rumors, Panasonic G7 on June 5, 2015 by admin. 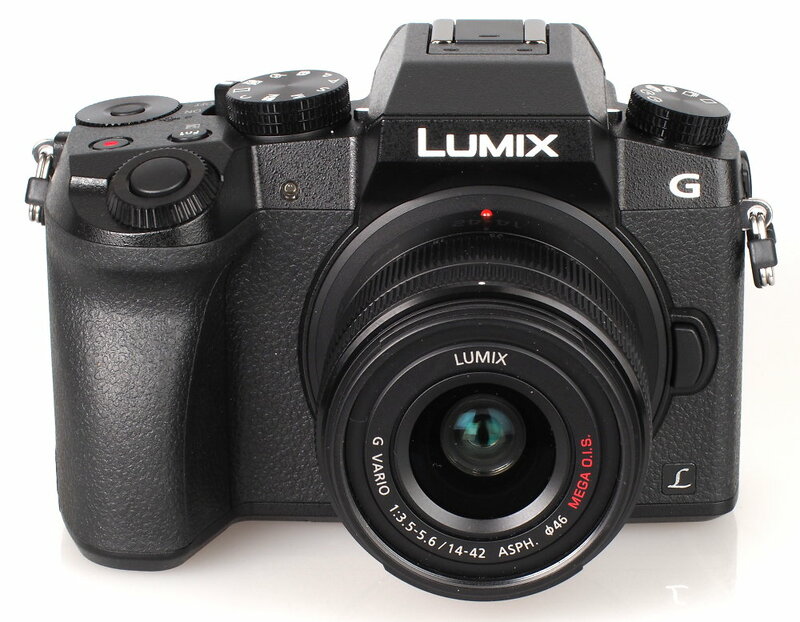 ePhotozine has just posted several Panasonic DMC-G7 Vs. G6 comparison images. From the images, you can see the new Panasonic G7 is completely different from every angle. This entry was posted in Panasonic Camera and tagged Panasonic camera rumors, Panasonic G7 on May 22, 2015 by admin. This entry was posted in Panasonic Camera and tagged Panasonic camera rumors, Panasonic G7 on May 19, 2015 by admin. 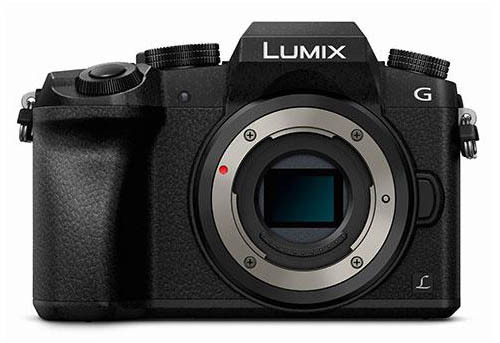 Panasonic has just officially announced the DMC-G7 mirrorless camera to replace the current DMC-G6. The price is for $797.99 with the 14-42mm kit lens. It is now available for pre-order and will start shipping on June 15, 2015. This entry was posted in Panasonic Camera and tagged Panasonic camera rumors, Panasonic G7 on May 14, 2015 by admin. 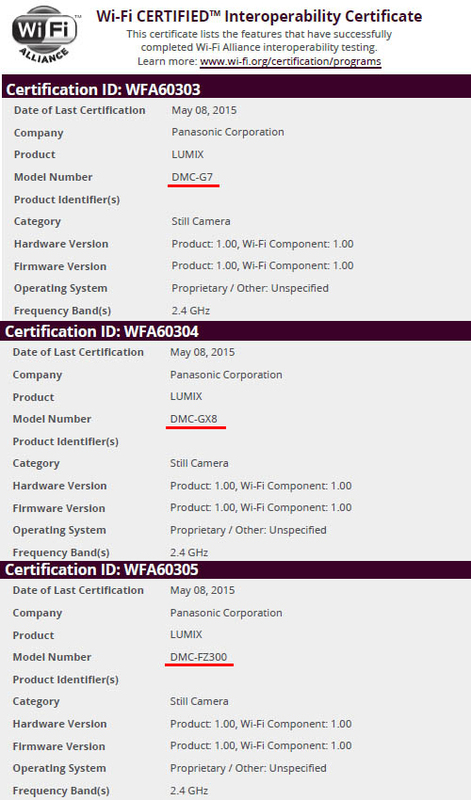 From the image above, you can see Panasonic DMC-G7, GX8 and FZ300 are confirmed by Wi-Fi ALLIANCE. This means these three new mirrorless cameras will be announced soon. 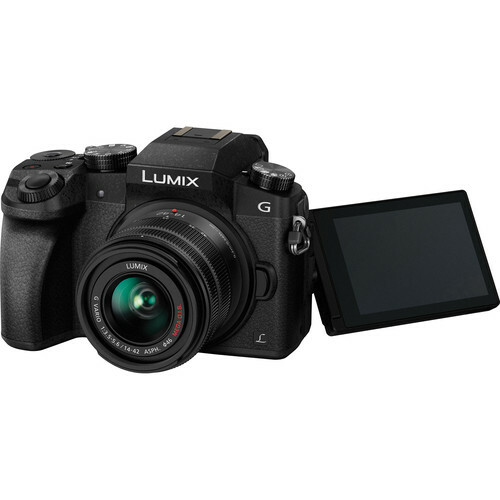 This entry was posted in Panasonic Camera and tagged Panasonic camera rumors, Panasonic G7, panasonic lumix GX8 on May 9, 2015 by admin.